Singer Elton John performs in New York City, March 2, 2016. 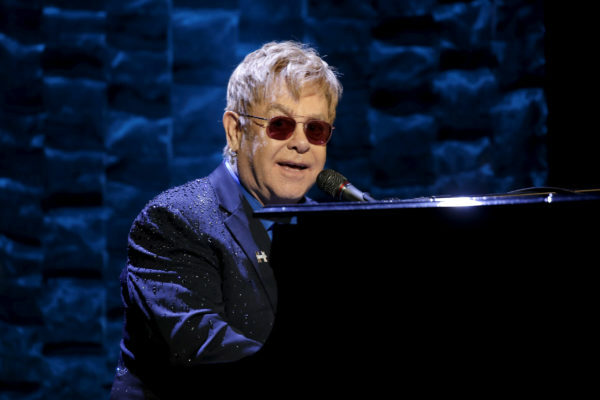 Elton John contracted “a harmful and unusual” bacterial infection during his recent South American tour and, after an extended hospital stay that included two nights in intensive care, has canceled all of his shows scheduled for April and May. John was discharged Saturday and on doctor’s orders is resting at home. He’s expected to make a full recovery. The South American portion of John’s “Wonderful Crazy Night Tour” included four dates in Brazil between March 31 and April 6, plus the April 10 gig in Chile. “Infections of this nature are rare and potentially deadly,” the statement said. The canceled gigs include the entire April/May run of “The Million Dollar Piano” at Caesars Palace in Las Vegas, plus a May 6 show in Bakersfield, Calif.
“I am extremely grateful to the medical team for their excellence in looking after me so well,” the “Tiny Dancer” singer said in the Monday statement. He’ll resume performing on June 3 in Twickenham, England. Ticket holders who bought via credit card can receive a refund credited to that card. Those who paid cash can request a refund at the original point of sale.